TMZ has reported that Chiesa has gone through with his plan to sue the former lightweight champion, McGregor for the injuries suffered as well as “severe emotional distress, mental trauma and/or bodily harm”. The lawsuit filed is specifically for assault, battery and intentional infliction of emotional distress. Chiesa is also suing the venue of UFC 223 which was the Barclay’s Center in New York City for negligence as he claims that they failed “to engage in proper security measures to protect the plaintiff and other patrons”. The amount that Chiesa is looking to receive is unknown but it’s believed to be a fairly large number as the situation resulted in him losing out on fight pay that he would have received if the incident didn’t occur. “severe emotional distress, mental trauma and/or bodily harm”. Dude's meant to be a cage fighter and he claims this from the incident. Cringe m8. Chisea is a huge quiff. God I loved it when he ran up on Lee and got clowned. Last part is wrong. He got both show and win checks. 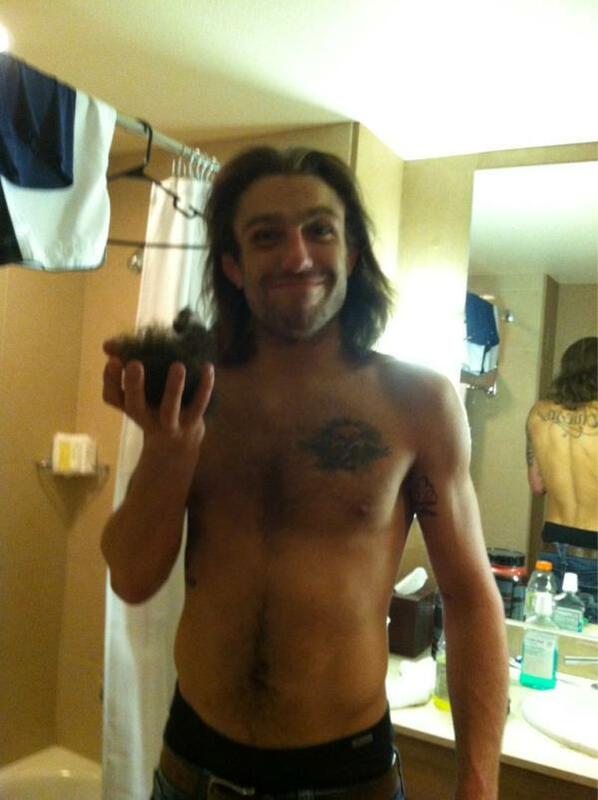 Michael Chiesa is never gonna make Conor Money, Makes sense for the guy to sue him to get some of them PPV buys. Of course this disgusting bum is going to try and come up quick. He knows his fighting days are coming to a close and he's incapable of making his own money. Once Looney Rose's lawsuit is confirmed will you guys reinstate my original thread? Again, Felice was calmly filming the whole thing.....Felice > Rose >>>> Chiesa. They need to make that Lee/Chiesa rematch just so Lee can mention his mother again and get him all rustled. Suing is very rare in the UK basically unheard of in Scotland, is there some sort of ball park figure they think that Chiesa will ask for? Finally someone else who understands our court system. You can't sue for money you didn't have coming to you. lol.. He's getting five figures, and it'll be less than $50K. And then he can indeed **** off to Bellator, where he will promptly get his life ended. There are LOTS of thing you can sue for besides money you would have had coming to you. For example "for assault, battery and intentional infliction of emotional distress." as quoted in the article. Not saying he'll win or that it isn't lame, but it IS a VERY American thing to do it seems. What he'll get is his medical bills paid and not a dollar more. He's a human **** fighter. He had a fight stopped because of a cut that was ten times the size of the tiny cut he got from glass. He's not getting millions for that incident. Period. Didn't they only get paid their show money? 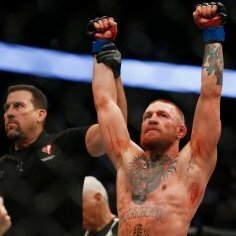 "UFC president Dana White confirmed all fighters — minus Artem Lobov, presumably — who lost UFC 223 bouts will be paid their regular purses, but not their win bonuses." I wonder if he is actually trying get some attention OR trying to fight Conor (I know it sounds crazy but hey this idiot might be delusional as well). The sun, the moon, and the stars. Go big or go home. Agree, this falls in the frivolous law suit category...and "I'm a victim", please remember my name(See Freddie for full definition). Because Felice was able to think rationally in the situation. I mean, once they said "it's Conor McGregor" did she think he was going to get on the bus to get HER when it should have been immediately obvious that he was there for Khabib. Bodied by Kevin Lee/Anthony Pettis and soon about to get bodied by Conor McGregor in court. Just cut this hillbilly already. They didn't even make it look good. His beard looks like the pube beard at the end of the second Jacka$$ movie. It is a pube beard! I f*cking knew it! My September 11th has been ruined. 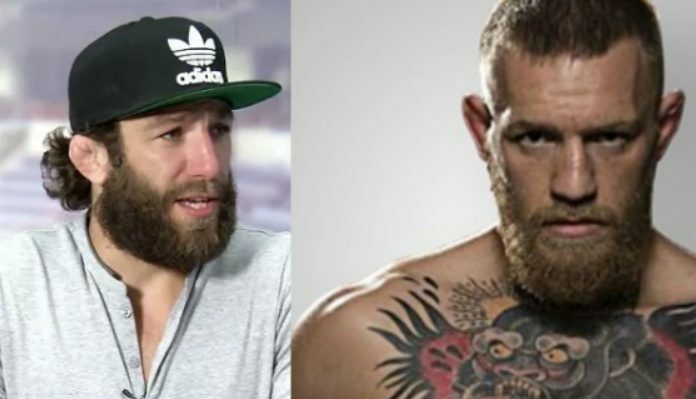 Paul McCartney looks like Ellen and talks about circle jerks with John Lennon and now Mike Chiesa is suing King Conor for something totally fake and gay. What are the odds that no one... literally no one attended this meet and greet? Could you imagine the kind of person who has Chiesa as their favorite fighter? Chiesa would probably be up for a title fight right now if Conor didn't get chit scared of him and try to take him out with a dolly. Conor knows in a real fight he would get laid out.....all hands!. i would have showed up just to get him to autograph my dolly, and my conor mcgregor poster. And to ask him how his mom is. Or ask him how the BJJ expert keeps getting choked out. Michael Chiesa Twitter is getting destroyed on his last tweet. The one where he says come meet him at a meet and greet. It's a day or 2 old his last tweet that is actually a tweet and not a retweet. He lost the fight against Showtime, so even they didn't cut this idiot a win check, he wouldn't have gotten it anyways. He got all of the money he has coming to him. 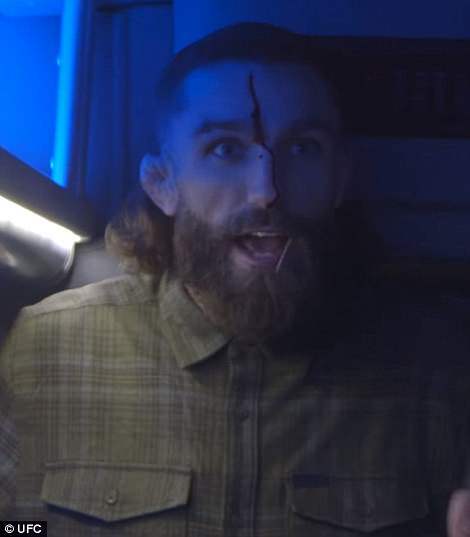 Conor will toss him fifty bucks for pain and suffering, and Chiesa will put that up for a down payment on a new trailer.